And that’s the last I heard from Scott Mosher until recently learning that he has kept himself busy in the years since Inferno. In 2006 he released Deep Horizon, a powerhouse set of spaced out metallic Progressive Rock. When Mosher’s next album was ready he decided to shift gears and take on a band name, Oceans Of Night, and released The Shadowheart Mirror in 2009. Despite the band name, it should be noted that Mosher composes the music and plays all guitars, bass and keyboards on his albums, with assistance from a drummer and singer Scott Oliva, who took on vocal duties starting with the Deep Horizon album and strikes me as a cross between Ronnie Dio and Rob Halford. I enjoyed Todd Corsa’s vocals on the Virtuality and Inferno albums, but Oliva’s powerful and passionate style is to my ears better suited to Mosher’s music. The space-ambient qualities of the earlier albums remain, further supporting my opinion in earlier reviews that Mosher is stepping off the well trodden metal based Progressive Rock path (I deliberately avoid the term “Prog-Metal” as it conjures up analogies that don’t really apply to Mosher’s music). 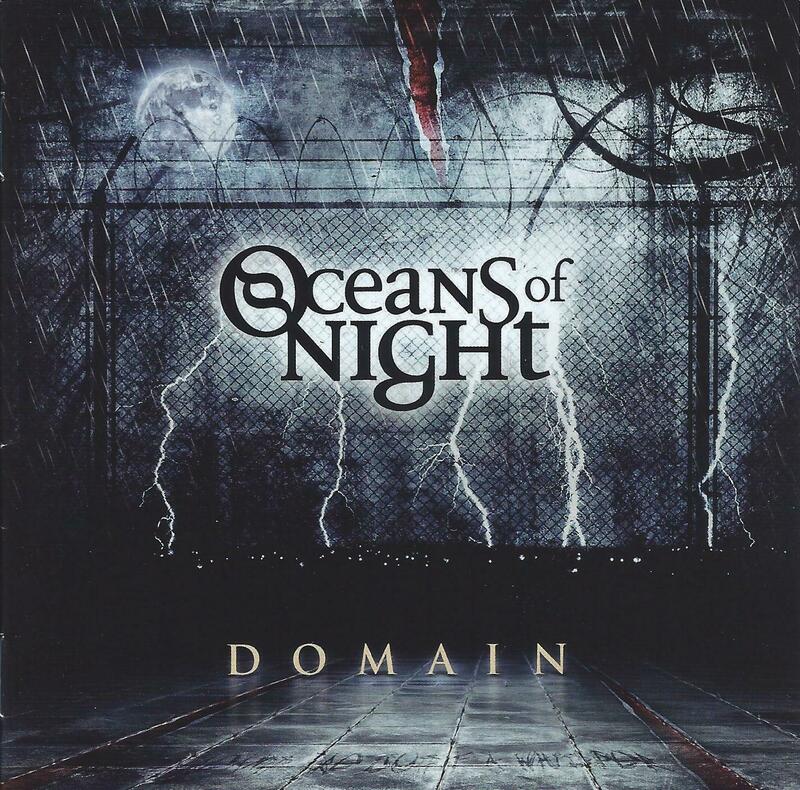 Which brings us to the latest Oceans Of Night release, Domain. The album won me over right out of the chute, kicking the set off with the 17+ minute title track. The piece begins with an angelic ambience, soon joined by syncopated keyboards and then the crash of metal guitar chords. The music has all the hallmarks of epic metal infused Progressive Rock, though atmosphere has always been a crucial trademark part of Mosher’s sound. Throughout the piece I had a sense of soaring through the cosmos, fist pumping and rocking hard all the way. Mosher is an excellent yet restrained guitarist, rarely going on extended shred solos but treating us to tasty bits of his proficiency with the instrument along the way. In true Prog fashion the music transitions through multiple thematic shifts, and there are some lighter mind-bending moments where guitar and keyboards collaborate to create beautiful deep space soundspace passages. My favorite part is in the last couple minutes where the music had been floating along for a while, and then launches abruptly into a thrash rocking, but still space-ambient sequence that brings us to the conclusion. Wow, this sucker left me drained and it’s only the first of ten tracks. The rest of the songs are mostly in the 4-5 minute range, with a few being a little longer or shorter. Despite the relative brevity, Mosher and Oliva retain a majestic epic quality throughout the album. The music is creatively composed and arranged, continually shifting mood and pace, resulting in an emotional roller coaster ride and one hell of a powerhouse 65 minute set. Mosher once again composed all the music and handles guitar, bass and keyboard duties. Alan Smithee plays drums and Scott Oliva is back on vocals and co-wrote some of the lyrics with Mosher. I should add that Mosher is also a graphic artist and photographer who has published two books of his photographs. Spend some time on his web site to get a feel for all that this multi-faceted artist has his fingers in. As Jerry mentions, I’ve been acquaintances, a supporter and a fan of AI since 2000 and it’s always a pure pleasure to submit and support Jerry and AI (and get some timely and applicable reviews of my continuously evolving music).